This Sign Supply is One of Our Most Popular Sign Supplies, Comes in a Variety of Sizes and Colors! This Versatile Sign Supply For Wall Mounts Can Be Displayed in Portrait or Landscape Orientation! Front load frame minimizes the time it takes to renew a campaign. 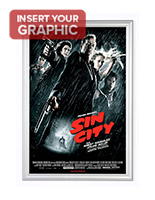 24 x 36 poster size is common; no custom sizing necessary. 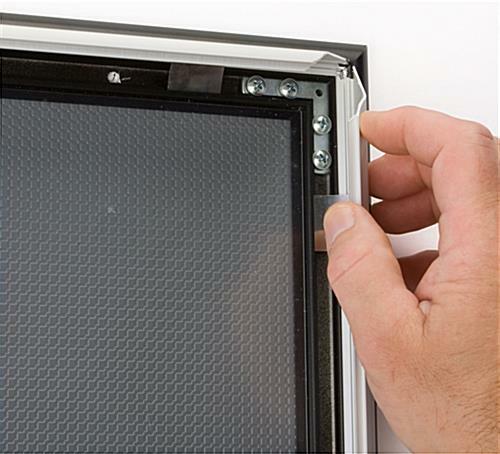 Non-glare lens, within the frame, protects signs from dust or fingerprints. 2-tone border blends in with any environment. This 24" x 36" sign supply that clips open has two sets of affixing holes, which are concealed below the edging. This gives buyers the preference of exhibiting either a portrait or a landscape oriented sign. The 24" x 36" sign supply that mounts to a wall has the screws concealed below the frame, thus producing a neater, more polished exhibit. This visual graphic exhibit is fabricated from metal and is two toned (black and silver), for extra style. 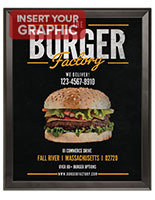 The aluminum sign supply that accommodates vertical or horizontal prints draws awareness to an exhibited ad without overpowering the content with disturbing details or embellishments. 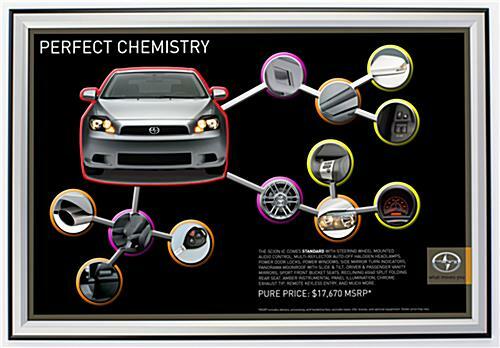 The 24" x 36" photo frame is perfect to be utilized inside of retail settings like a commercial shop, eatery, or hotel. Firms needing continual graphics updates would greatly appreciate the uncomplicated setup of this display. 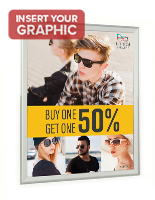 Front-loading clip-frame sign supplies make changing signage an effortless chore! 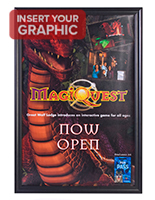 This first-rate sign supply with wall mounts stylishly enhances a 24" x 36" print ad. 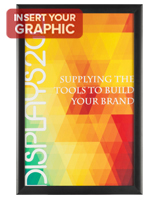 The poster frame design simplifies the process of refreshing a display. This clip open 24" x 36" sign supply, also known as photo exhibit framing, sports four hinges alongside the profile edge. Every side flips out individually, so a user can insert new graphics with comfort. The two-toned 24" x 36" sign supply consequently remains in position in the course of artwork changes and updates. 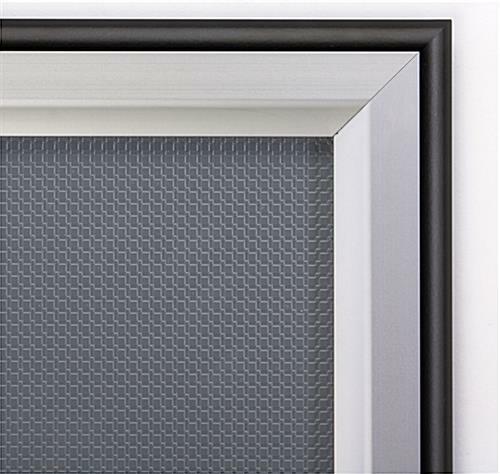 You won't have to detach the framing from the wall or take away the backing! Overall: 26-3/8" x 38-1/2" x 5/8"
Artwork Size: 24" x 36"
Viewable Area: 23-1/8" x 35-1/4"
26.4" x 38.6" x 0.625"